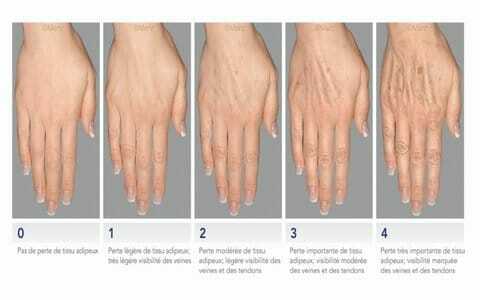 Hands are difficult to hide in our social exchanges, and do not escape from signs of ageing. 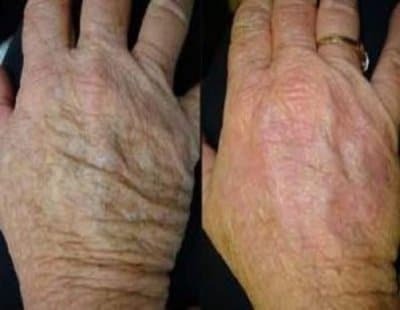 The contrast between a rejuvenated face and aged hands can be telling. There are various stages to ageing. Hyaluronic acid is used to plump and to hydrate the skin. In order to hydrate the skin, very lightly reticulated forms of hyaluronic acid are used, which rather than plumping it up, simply hydrate the skin. Injections are by needle or by canula. Used for the treatment of redness, marks and dull complexions. After the treatement a transient redness (3-5 days) is possible. 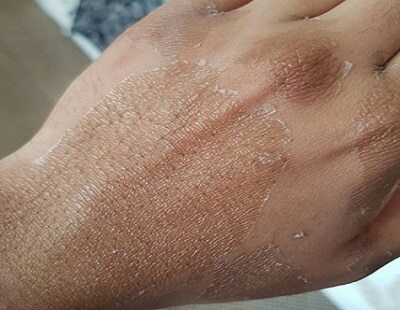 Mesotherapy is indicated to moisturize and plump the damaged skin of the hands and feet. Several sessions are necessary, the result is visible the next day, the skin becomes velvety to the touch. The peel improves the tone of the skin, stimulates collagen synthesis with dermal redensification. 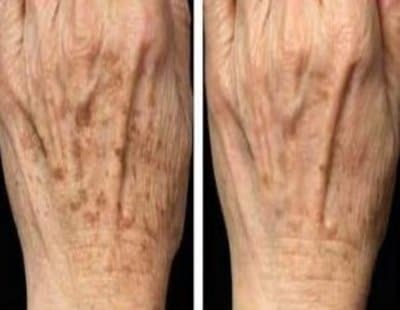 This treatment also allows the lightening of the spots. I didn’t like the « aged » aspect of my hands. Doctor Romano did injections of hyaluronic acid to hydrate and treat the carved-in aspect. I’m very happy with the result. The sun had damaged my hands, I’ve been a patient of Doctor Romano for a long time. Laser and injections completely transformed them. My hands were very dehydrated. Doctor Romano did injections and I recovered the sweetness of my hands, I’m really satisfied. My hands didn’t match my face. Doctor Romano rejuvenated them just like she did for my face. Very beautiful result. Laser 200-250€ each session, it needs 3 sessions.